The New York subway system is a city unto itself. It is drastically different than the DC Metro, the one subway system I am at all used to. Once mastered however, it opens up a world of discovery, all for the price of a fare card. And, thanks to people like this guy, even waiting for a train can be entertaining. 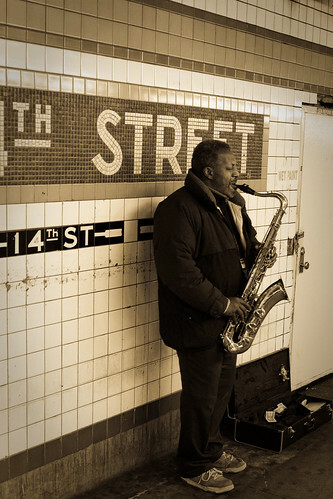 Perhaps on my next visit I will bring along my own tenor sax, and see if I can make a few dollars before being bludgeoned by people with a refined taste in music, or at least a decent sense of hearing.